Hope fitted with satellite transmitter, ready to be released. Photo by Barry Truitt. Hope in hand before release in Great Pond showing coded flag “AYY”. Photo by the Center for Conservation Biology. 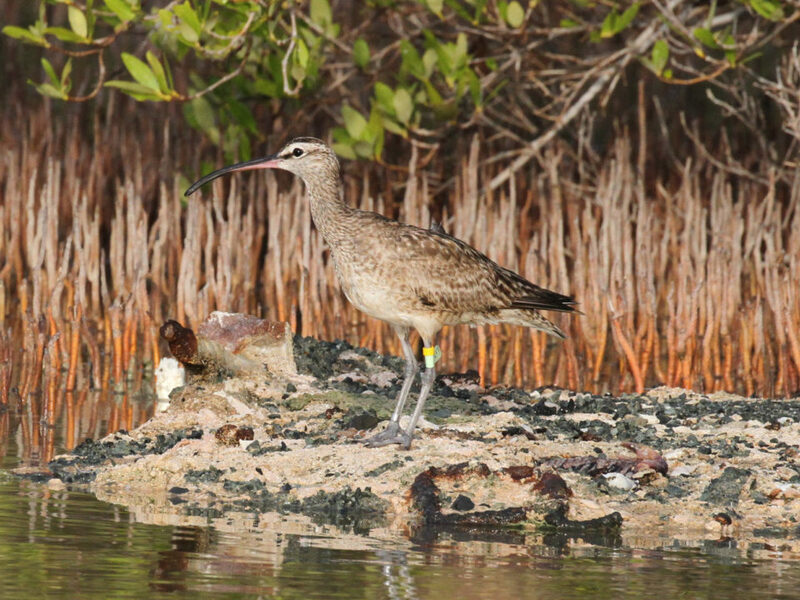 Fletcher Smith, a biologist with The Center for Conservation Biology traveled 1,500 miles to St. Croix in November to catch up with a whimbrel named Hope. 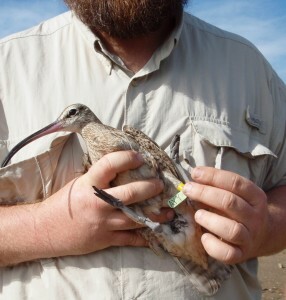 Since capturing Hope on 19 May, 2009 in Virginia and fitting her with a satellite transmitter, Smith and a team of researchers have tracked the bird for more than 50,000 miles (80,000 kilometers) back and forth 4 times between breeding grounds on the Mackenzie River Delta in the Northwest Territories of Canada and her winter territory on Great Pond, St. Croix, U.S. Virginia Islands. 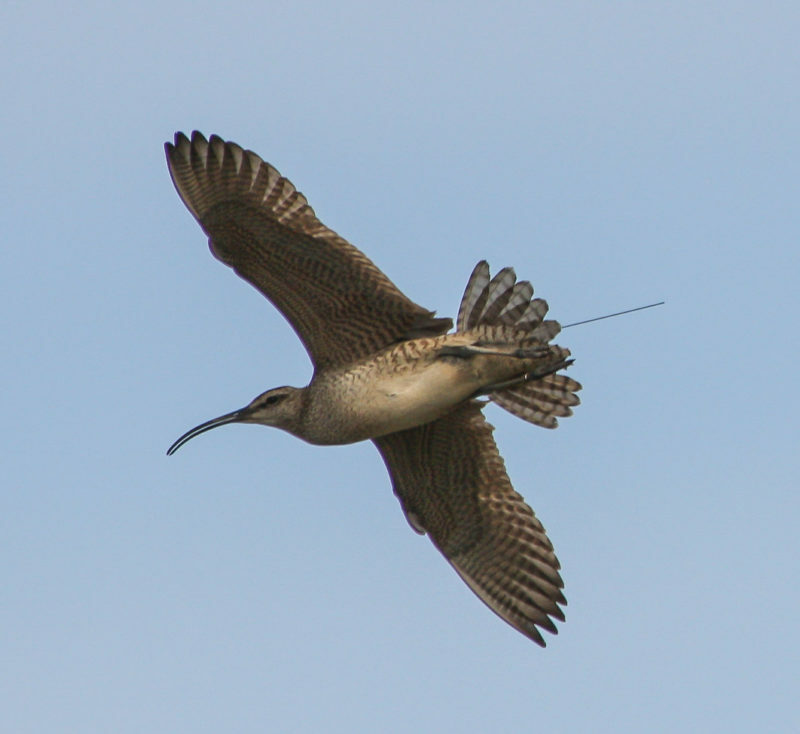 During that time Hope has made extraordinary flights over the open ocean, encountered several major storms, and along with 2 dozen other tracked birds has revealed important details of migration previously unknown to science. 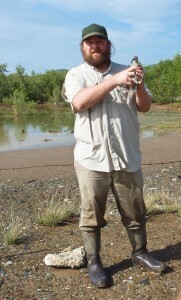 Fletcher Smith with Hope – Fletcher Smith holds Hope in Great Pond after removal of transmitter on 20 November, 2012. Photo by the Center for Conservation Biology. 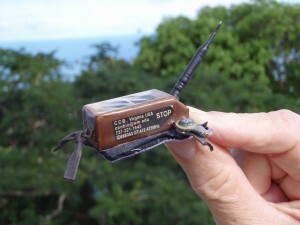 Smith traveled to St. Croix in November to capture Hope again and remove the transmitter that had stopped transmitting. Hope’s signal was lost shortly after her arrival on Great Pond in early September. From observations and photographs made by local researcher Lisa Yntema it became clear that the transmitter’s antenna had broken off. Plans were made and coordinated with local officials to capture Hope in an effort to remove her transmitter. With assistance from local biologists, Smith sat in a blind for more than 2 days watching noose carpets placed in Hope’s favorite foraging and roosting locations. Hope was captured on the morning of 20 November. Her transmitter was removed but leg bands and her identifying coded flag were left in place for future identification. 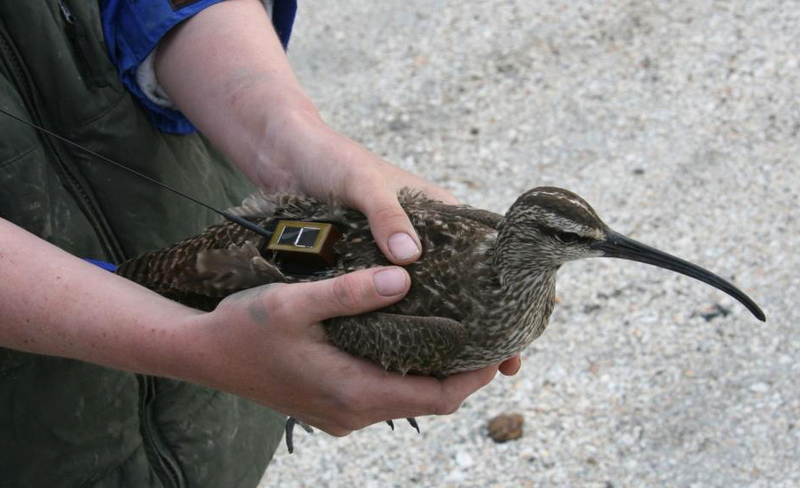 Removal of the transmitter marks the end of the most successful tracking effort of a shorebird to date but not the end of Hope. She will continue to be searched for along Box Tree Creek in Virginia during spring migration and on her winter territory in Great Pond for years to come. Broken satellite transmitter removed from Hope. Photo by the Center for Conservation Biology. 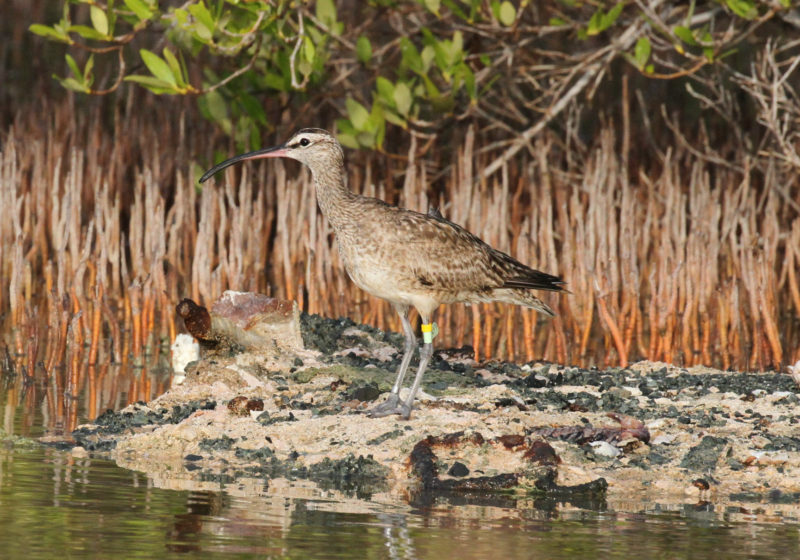 Hope has taught the research community a great deal about the migratory pathways and habits of whimbrels. 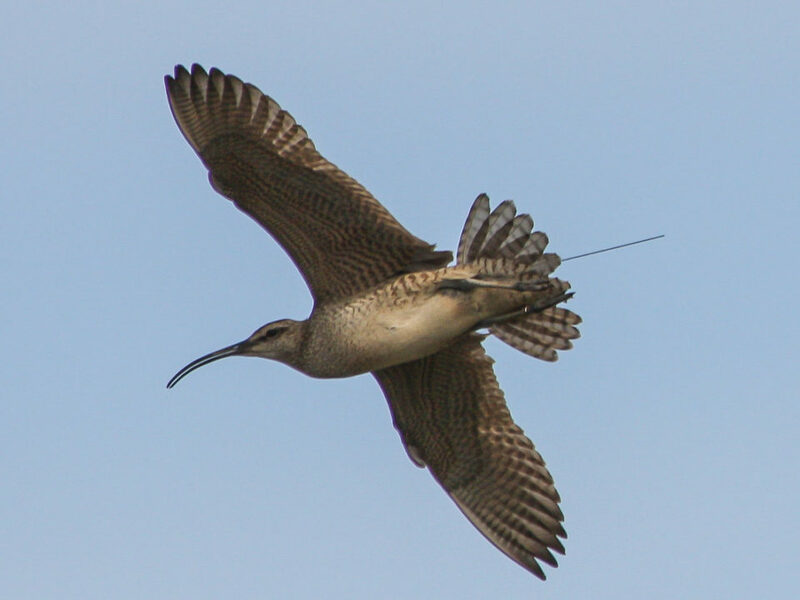 She has made tremendous nonstop flights, moved great distances out over the open Atlantic, confronted storms while at sea, navigated with precision to stopover sites and shown high fidelity to her breeding site, her wintering site, and several staging areas. 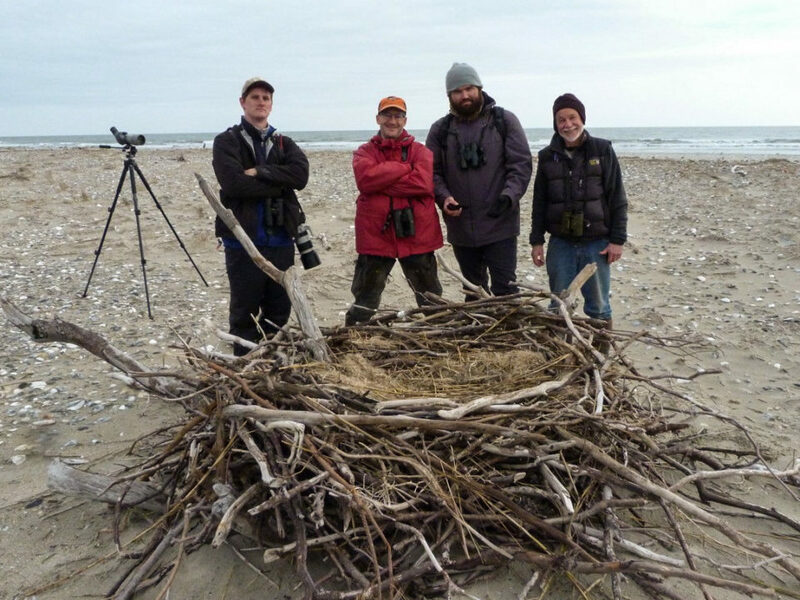 She has demonstrated the importance of both local efforts and international cooperation to the conservation of these highly migratory species. She has moved between communities and nations during different seasons but also utilized the same small creeks and ponds repeatedly. 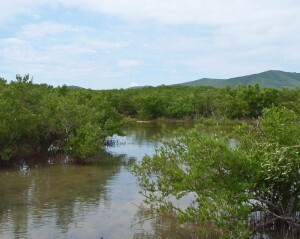 Great Pond – Hope’s winter range on St. Croix is a mangrove wetland and a designated Important Bird Area. Photo by Fletcher Smith. 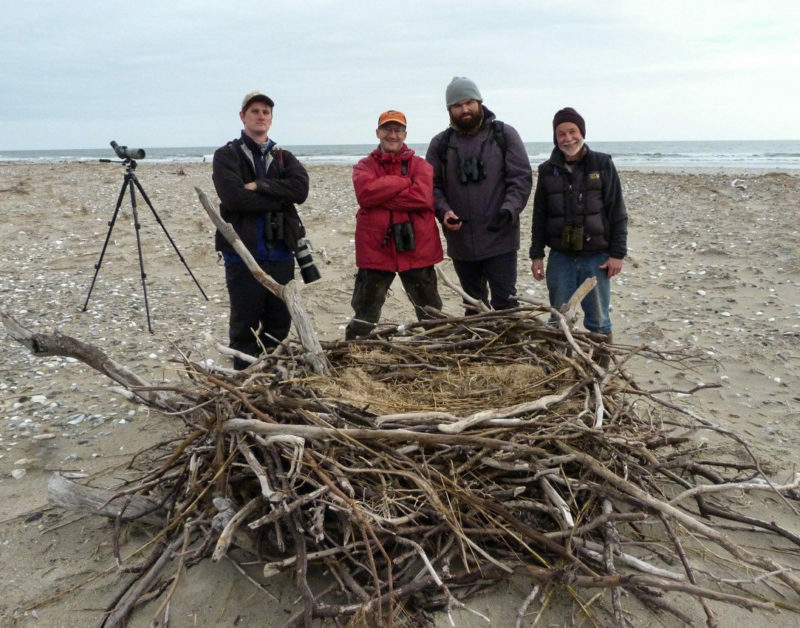 Hope is one of two dozen birds that have been tracked in a collaborative effort between The Center for Conservation Biology, The Nature Conservancy, US Fish and Wildlife Service, Georgia Department of Natural Resources Non-game Division, Canadian Wildlife Service, Manomet Center for Conservation Sciences, and Virginia Coastal Zone Management designed to discover migratory routes that connect breeding and winter areas and to identify migratory staging areas that are critical to the conservation of this declining species. Map of Hope’s movements from spring 2009 through fall 2012 as determined by satellite tracking. 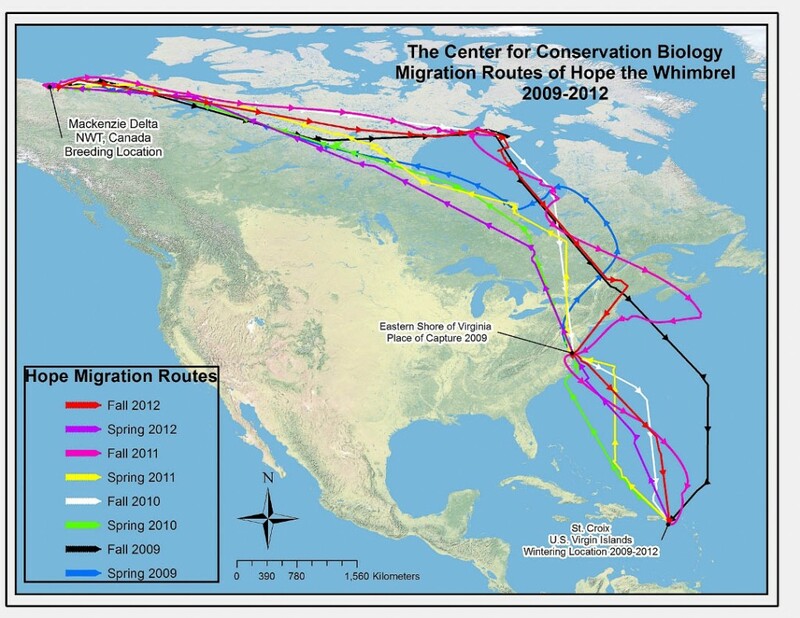 Map by the Center for Conservation Biology.